So summer has arrived full force here on the farm. It’s well over 90 F today, scorchingly bright sunshine, high humidity, and little to no breeze. So it gives me moment to catch my breath while sitting under a fan. I’m going to get a print to put up on the farm office walls. No, I haven’t actually painted those wall yet and no, there is no floor. But that’s not the point. 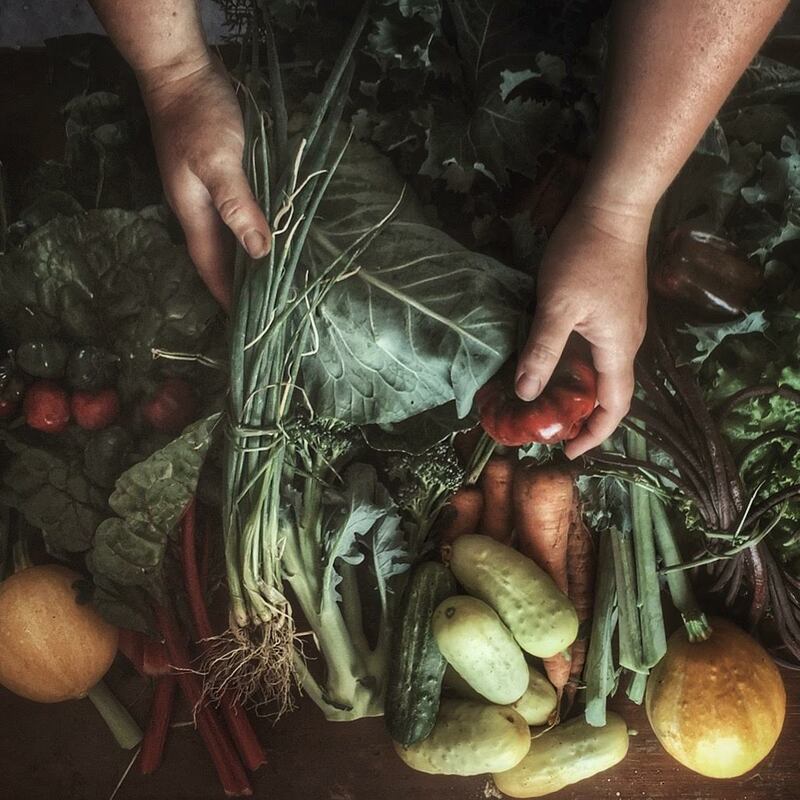 Look at the gorgeous photograph of La Piccolina’s CSA vegetables!